Following the footprints of Inox and PVR, Reliance MediaWorks is now focusing on acquisitions to strengthen the presence of its multiplex chain Big Cinemas with an investment of Rs 100 crore. The company plans to enhance its footprint in the bigger southern metros such as Chennai and Bangalore by acquiring existing regional chains. 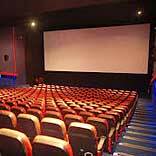 The company already has its single multiplex in Hyderabad city.